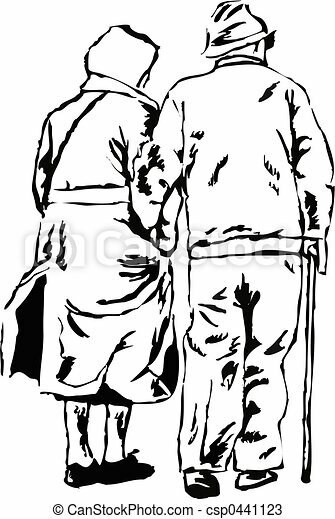 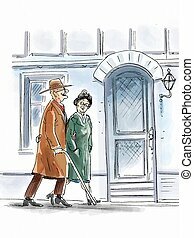 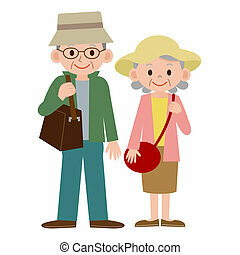 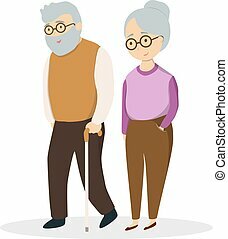 Sketchy drawing style illustration of an elderly couple walking together hand in hand. 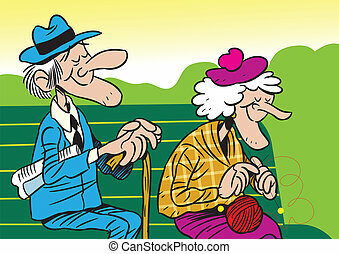 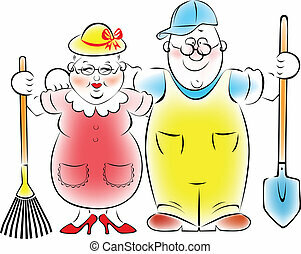 Illustration of an elderly couple who love to garden and vegetable garden. 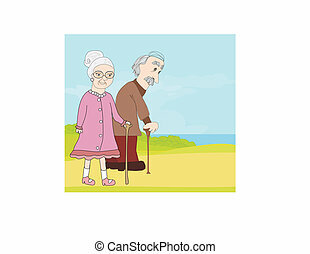 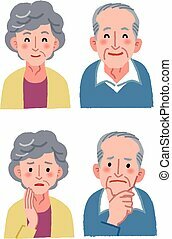 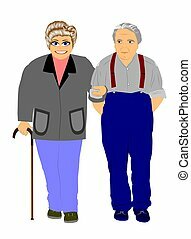 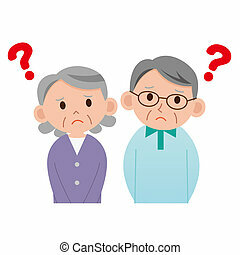 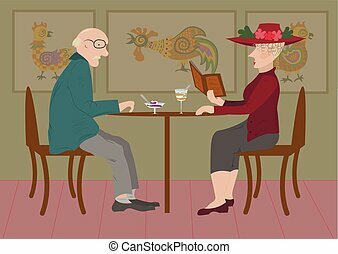 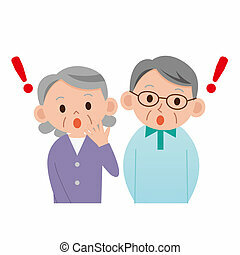 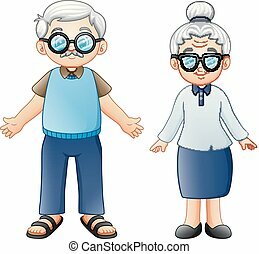 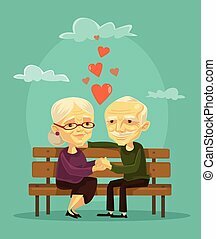 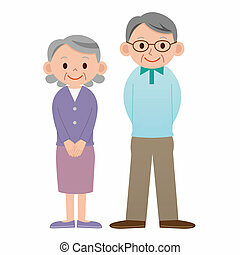 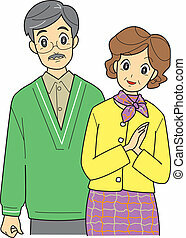 Idsolated cute elderly couple on white background.